Tool setting systems may be used for both tool measurement and tool breakage detection. Tool measurment ranges from simply setting the offset of the bottom of the tool, to measuring the size and shape of a form tool. Tool breakage systems can find broken tools in less than one second. 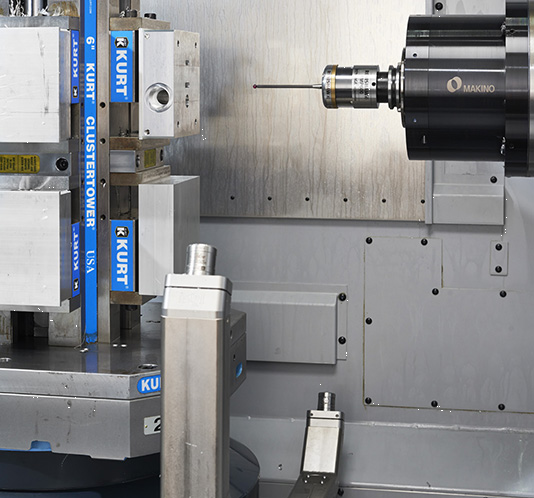 Both tool measurement and tool detection systems are offered in non-contact laser based systems and contact based touch probe systems. Whether you need parts, a full system to install yourself or a fully installed programmed and trained tool setting system we are here to help you.